Gage Block Comparator System — Mountain Metrology and Repair, Inc.
With a full service maintenance program, we maintain service records of our customers’ test and measuring equipment in compliance with ISO/IEC 17025 and ANSI/NCSL Z540-1. 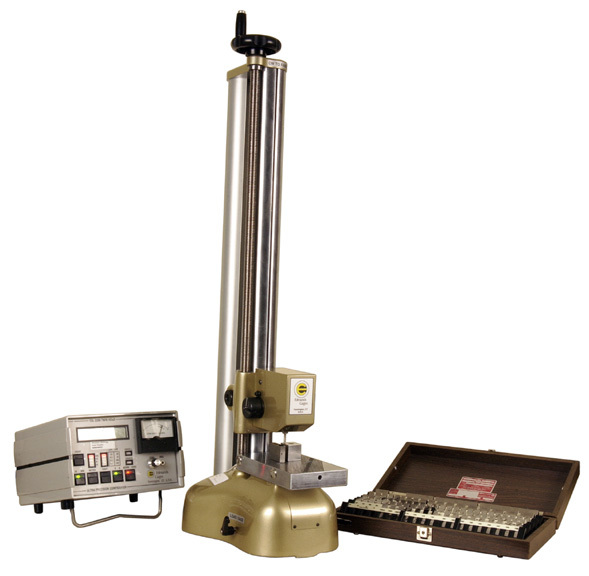 Dimensional, Electrical, Mechanical, Mass, Force & Weighing Devices, and Time & Frequency Calibration. This system allows us to provide calibration ratio of 4 to 1 or better. If it's accuracy you want, our Gage Block calibration has no equal. With all calibration preformed in a temperature and humidity controlled environment, we can insure accuracy up to 1/10th of million (.0000001) with each measurement. Such calibration includes measurement data with the return of your gage blocks.